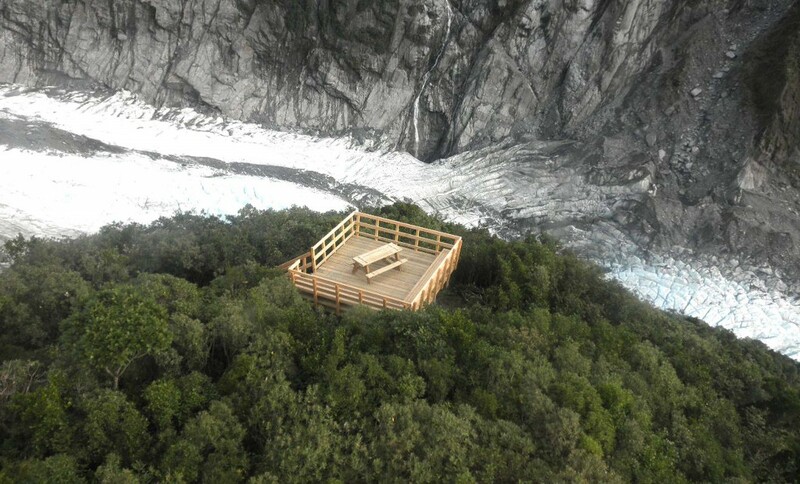 ATS Timber worked in conjunction with the structural engineer, DOC and our local Approved Reseller to come up with a solution for this stunning viewing platform over looking the Franz Joseph Glacier in Westcoast, New Zealand. Trusted Weka SG8 Wet H5 RS and PG products were selected for this application. In the last ice age the glacier extended in a huge ice- sheet to beyond the present coastline. Today echoes of its frozen past are still apparent in the landscape. The terminal face of the glacier is less than 300 metres above sea level. Today Franz Josef Glacier Village’s natural credentials are impeccable and today there is a huge variety of natural attractions just a short distance from the Franz Josef Glacier Village. Lakes, rainforests, surging waterfalls and the glacial rivers of ice mean that the area is an adventure and leisure destination that is ready to be explored.